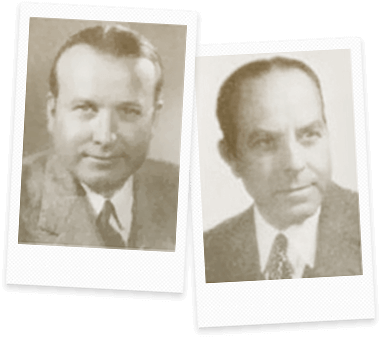 Brothers Richard and Donald Rheem founded Rheem Manufacturing Company in Emeryville, CA, in 1925. 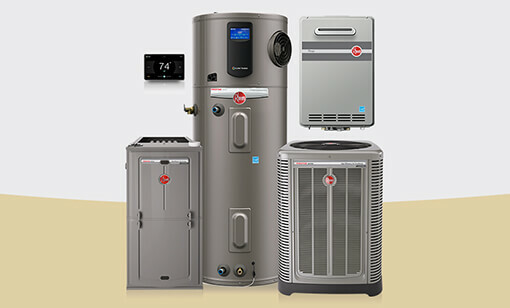 While the company has produced a number of products in its nearly 100 years of operation, Rheem is currently the only manufacturer in the world that produces heating, cooling, water heating, pool & spa heating and commercial refrigeration products, and it is the largest manufacturer of water heating products in North America. Rheem is committed to making a difference with the products we create, for the people we serve and through the processes that drive us. From innovating energy-saving products to supporting the trade, our sustainability efforts know no bounds—including our 2025 commitment: We’re designing for zero waste. From industry-leading technologies to next- generation energy efficiencies, Rheem has been a pioneer in developing some of the most innovative advancements in heating, cooling and water heating. With a long list of award-winning solutions, Rheem continues to deliver advanced comfort, savings and experiences to our customers—just as we’ve done for nearly 100 years. See our latest commercial and residential innovations. Richmond delivers a comprehensive product line of residential and commercial water heaters, including liquid propane (LP), natural gas and electric tankless models, as well as new, energy-efficient units like tankless and hybrid electric water heaters. Eemax is the #1 supplier of tankless water heater solutions in the USA. For over 25 years, Eemax has offered energy efficient, on demand hot water heaters for commercial applications, residential homes, and industrial and safety applications. EcoSmart products provide smart technology for endless hot water for use in residential and commercial applications. EcoSmart delivers tankless water heaters that are energy efficient and economical to consumers. Heat Transfer Products Group (HTPG) designs, manufactures and markets commercial refrigeration products, heat transfer components and equipment for food service, food retail and other non-consumable markets. Russell leads the way providing everything needed for a commercial refrigeration system with over 35 basic product lines, offering innovative products and engineering support to deliver solutions matching any cooler or freezer requirement. With over 90 years of refrigeration expertise and success, Kramer is a respected brand specializing in refrigerated warehouse refrigeration equipment. Kramer’s exclusive Thermobank® Hot Gas Defrost systems are the contractor preferred, high capacity, energy efficient, long lasting warehouse cooling and freezing solution. As the world’s leading supplier of equipment specifically designed for the food service refrigeration marketplace, ColdZone is the best choice for kitchen refrigeration offering custom engineered, energy efficient compressor racks and single or multiple compressor condensing units. Witt has provided quality products and service to the commercial refrigeration industry since 1961. With a firm commitment to energy efficiency, product quality and unsurpassed customer service, Witt is a leading supplier of heat transfer equipment. Sure Comfort offers high-quality, cost-effective and reliable HVAC products through dedicated factory centers and with professional, knowledgeable staff available 24/7—plus free product delivery and a full line of replacement parts and accessories. WeatherKing offers dependable, smart, high-efficiency products to keep your entire castle constantly comfortable, no matter the temperature or season. The ProTech Master Catalog offers a complete reference for authorized replacement parts to Rheem, Ruud and WeatherKing air conditioning and heating equipment—providing photos and descriptions of more than 6,000 professional HVAC products, parts, supplies and accessories. ProStock is the largest branded aftermarket parts network in the industry. More than 225 self-service retail showrooms nationwide provide industry contractors and professionals with parts and supplies for the most trusted brands. After 50 years, Raypak remains the world’s leading manufacturer of copper-finned boilers and heaters—offering a complete line of pool and spa, residential hydronics and commercial water heating products to fit almost any application. Splendid is Chile’s market leader, manufacturing, marketing and distributing a range of water heating appliances—such as kitchen products, portable stoves, catalytic and radiant stoves, gas and electric central heaters as well as tankless and solar water heaters— sold throughout South America, Mexico and Spain. Richard and Donald Rheem, with financial help from brother William, formed a co-partnership and the Pacific Galvanizing Company to galvanize steel drums and other metal products on June 20, 1925, in Emeryville, California. The plant was enlarged to house Rheem Manufacturing Company and began manufacturing steel drums.